3/4 around my neck. 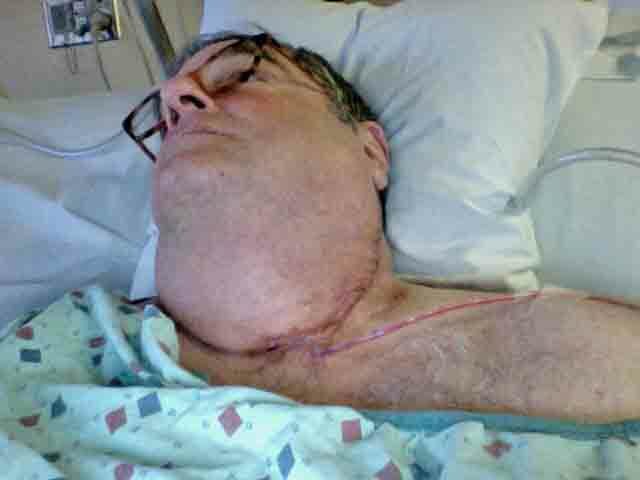 For those of you following the GCMAC listserv you already know I have been battling Squamous Cell Carcinoma discovered in a golf ball sized swollen lymph node on my neck. The ENT doctor didn’t tell me it was major surgery, rather a biopsy “dissection”. Unless they couldn’t determine with local biopsies, then he would remove the swollen one. Once I awoke from surgery he told me that he removed the swollen one and 41 others on the the right side of my neck. • Seems like this is one of those “curable Cancers” with a 90% success rates. It’s still the worst pain I have ever experienced, with daily radiation treatments for the last four weeks. It was all I could do to take a ride to the hospital each day, get a treatment, then home and collapse into bed. • My darling children and my ex-wife have been providing some care, but I wasn’t doing to well living on my own, most of the time. Got so dehydrated then delirious, I am back in the hospital getting continuous fluids as of last Thursday, anti-nausea medicine, with four more radiation treatments to go. • Not the best weight loss regimen I’d recommend, but I’ve shed 130 pounds since leaving Florida in 2009 – good riddance. 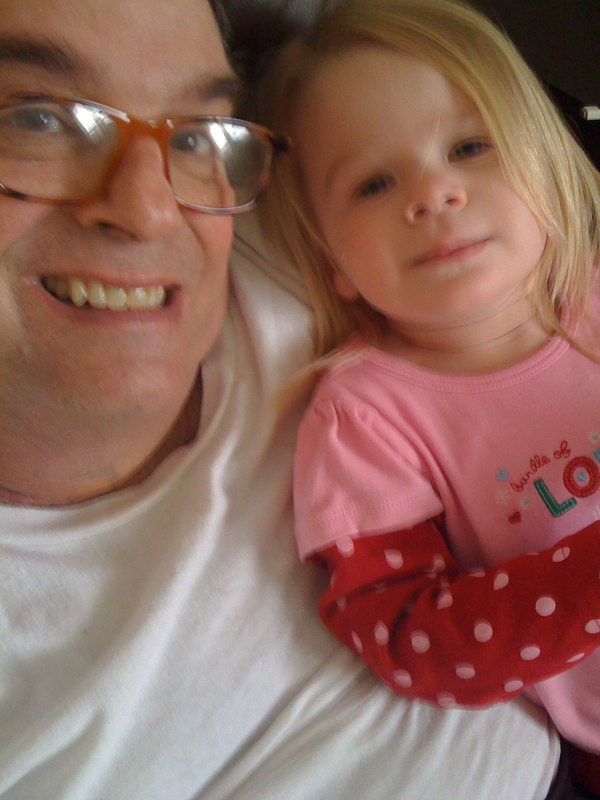 My life style is changing, and I’m determined to dance with at my Granddaughter Leah’s wedding!